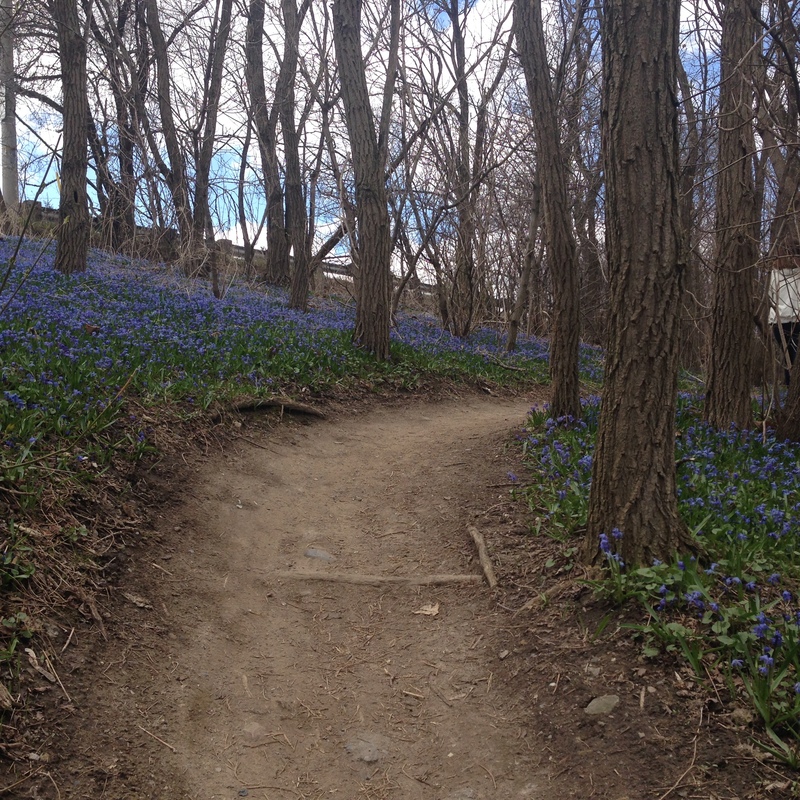 Out walking the trails today and the bluebells are everywhere. The woods look amazing and the trails are completely dry. Yesterday was the first of the Ontario series of 5 Peaks out at Terra Cotta. The conditions were super muddy and some parts were deep deep. I took a huge tumble coming off the bridge in the first kilometre and took down a fellow runner who would eventually finish 2nd overall in the Enduro race. We had a good chat after the race. I managed to pull myself up and finish a respectable 4th overall. Legs felt like lead after Boston. I am not sure how to proceed with my recovery from Boston. I had the trail race yesterday and most likely I will do the Goodlife Half next weekend. After that it is Sporting Life and perhaps a big trails race relay in Nova Scotia. I will head out on the trails today for 8 K and just try to relax. My sizeable tumble yesterday in the 5 peaks race left me with road rash as a souvenir. I was going to take a photo but that’s just gruesome. 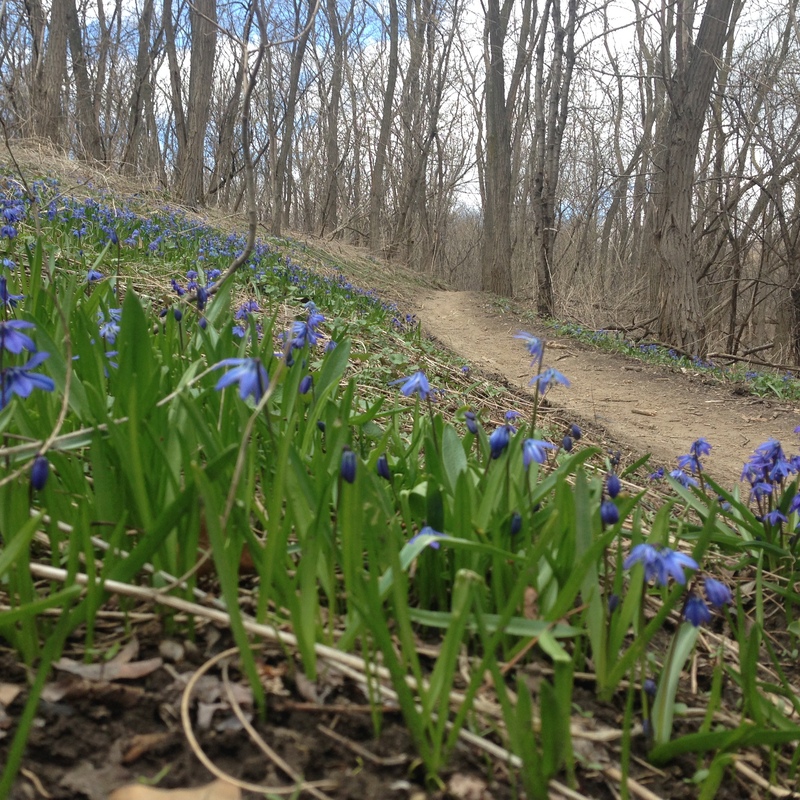 Here are a few wonderful photos of the bluebells up from the Pottery Road trailhead. Lots of Mtn Bikers out to day and it is spectacular. Have a great run today and I hope to be on the road (trail) to recovery. Boy this post sounds somewhat cheesy (sorry).